Microsoft SharePoint is a widely used technology, present in nearly 80% of corporate IT environments. While popular for collaboration, intranet, and document management, SharePoint has limitations in enterprise business process use cases that cause profound problems in common, real-world situations. Ultimus Digital Process Automation Suite provides a variety of ways to overcome these limitations and leverage SharePoint’s strengths. 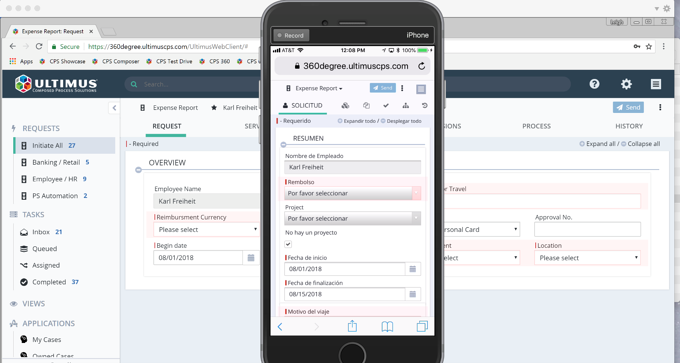 In fact, the patented Ultimus DPA Suite is one of the most robust, feature-rich, and proven tools for creating structured and unstructured human- and document-centric process applications – applications that fulfill the most sophisticated, mission-critical, and large-scale organizational requirements. In addition to unmatched routing, task assignment, notification, escalation, and exception handling options and features, Ultimus DPA Suite provides configurable out-of-the-box document management capabilities that handle every document-centric process need. 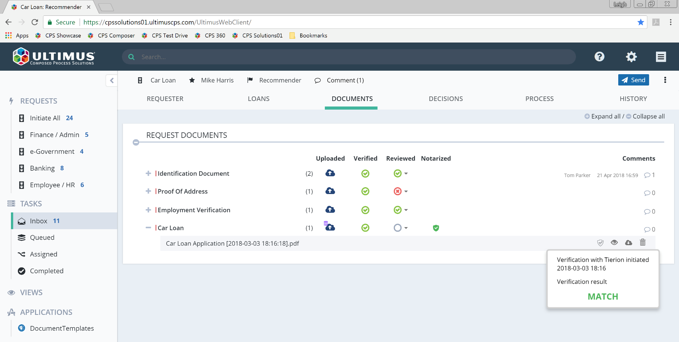 A loan approval process showing built-in, intuitive document functionality. 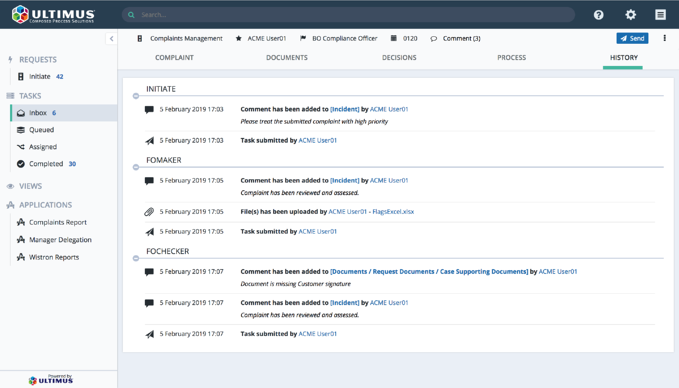 These highly intuitive built-in document capabilities include document checklists; document upload/download/viewing; document generation; user document review, verification, and commenting; document validations and rules; histories of document-related activity; document blockchain anchoring/proving; document reuse; file name/business concept mapping; and integration with SharePoint and other popular ECM systems. Ultimus DPA Suite’s document rules and validations are built-in and automatic. Ultimus EIK/Web Service that allows Ultimus functionality to be deployed in custom SharePoint solutions. Example of automatic document storage in SharePoint. 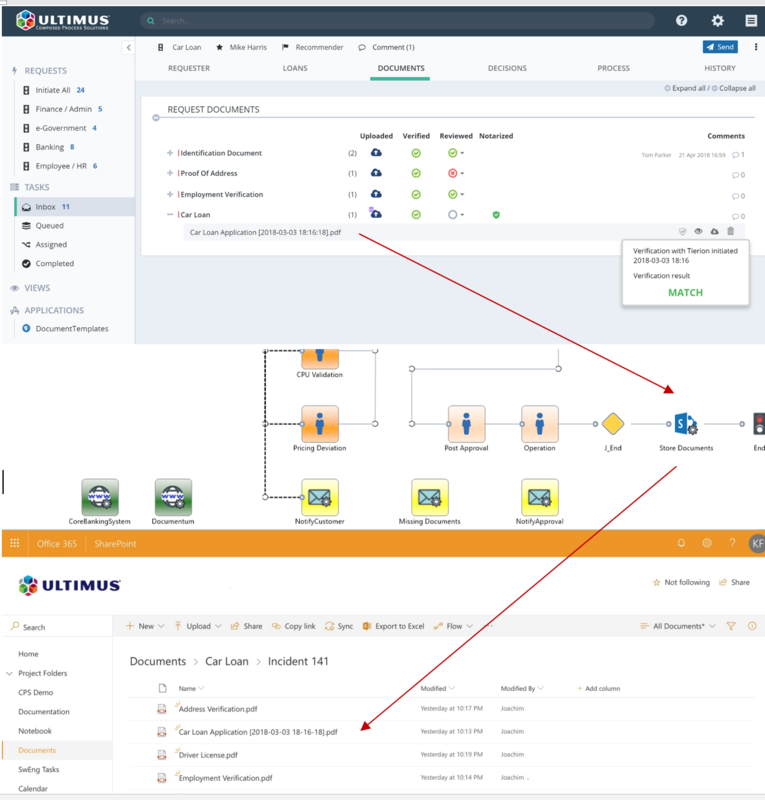 Ultimus DPA Suite gives organizations the best of all worlds: The ability to develop powerful, flexible, and highly-intuitive business process software applications with incredible speed while easily leveraging SharePoint’s powerful “system of record” capabilities. Enabling pervasive, seamless, enterprise-scale, end-to-end process digitization – across all devices; regional, product, and business scenario permutations. Complaint Management process showing out-of-the-box process and document history. Ultimus DPA solutions are mobile-ready with no additional effort and handle every regional and use case permutation. Ultimus FlobotTM automated integration agent options.